These Dual Coil replacement heads are for any of the Aspire BDC cartomizers (CE5, CE5S, ET, and ET-S). These heads are available in 1.5 Ohms, 1.8 Ohms and 2.1 Ohms. 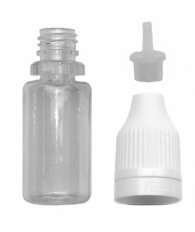 These heads will NOT work on the Aspire Nautilus or Aspire Atlantis cartomizers.